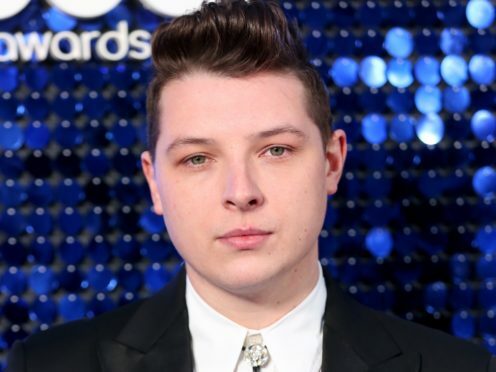 Singer John Newman has said he would happily step aside to allow only female artists to reign in the charts. The Brit-nominated star has branded the music industry “fickle” and fears that fans would forget his work. But the Love Me Again singer has said he would gladly sacrifice his prominence to create an all-female music market. Speaking at the Global Awards in London, Newman said that support for female artists is growing and is the right approach. He said: “I actually think that the support behind female artists at the moment is absolutely incredible. I think it’s been pushed, I think it’s the right thing to do. “I would be happy to step out the way if it became a full female market. Newman has said he fears the fickle nature of the music industry and worries that fans will forget his past successes. He said: “I think it’s because I’m my worst critic. I’m thinking no-one is going to know who I am. The Voice star Olly Murs has also spoken of the challenges to his own success in the music industry, and on TV. Murs said that The Voice has successfully defeated competition from BBC primetime rival The Greatest Dancer. Speaking on the red carpet of the Global Awards, the singer said: “Is it a battle? Every year there’s always someone trying to challenge us on another channel. It is what it is. He added that he tries to keep the expectation of The Voice contestants “to a minimum” regarding their careers after the show. The Global Awards began in 2018.